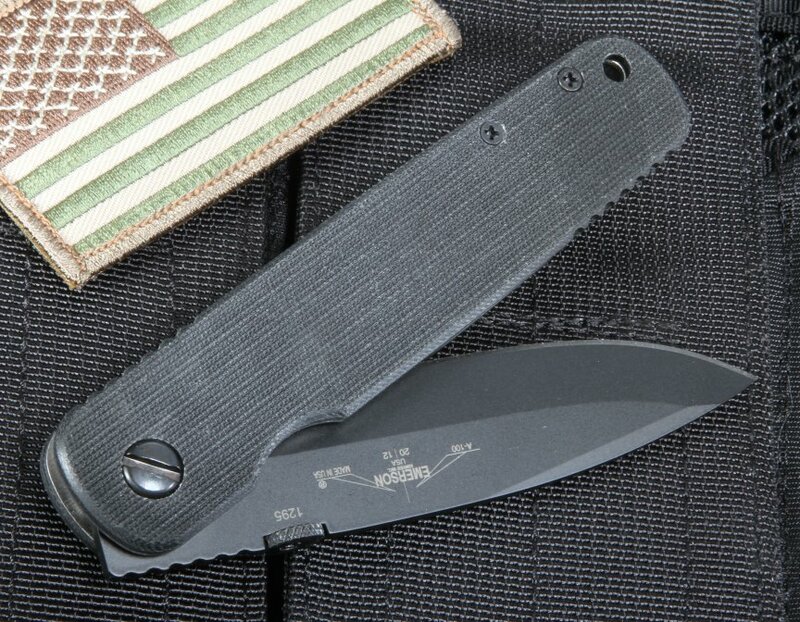 The Emerson A100 BT folder is a striking, dynamic knife that blends elegance and strength in one. 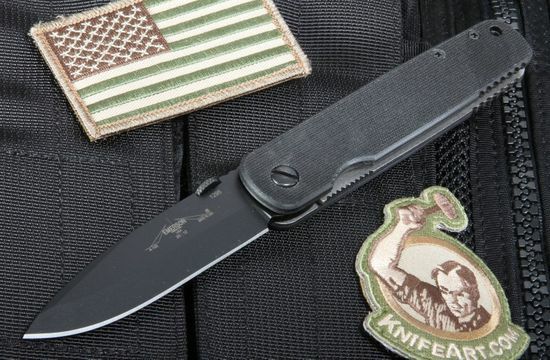 Known as the father of Emerson's tactical knives, the A100 BT maintains its simple yet durable look in its length of 8.4 inches and weight of 4.8 ounces. 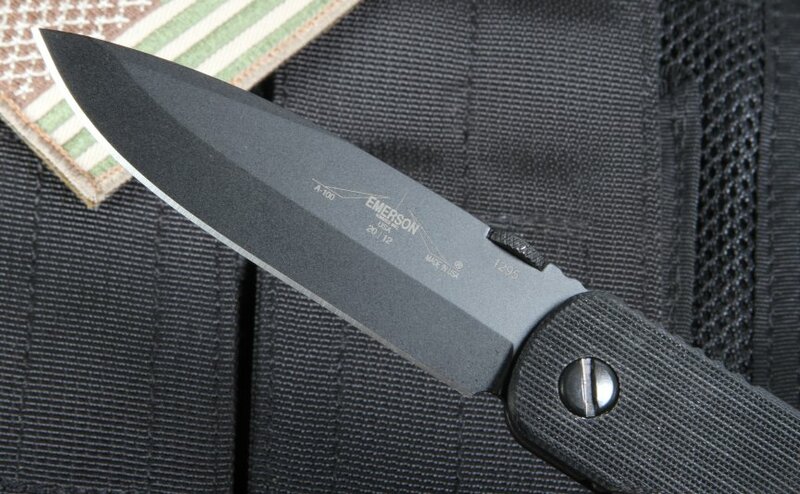 The Emerson A100 blade is 3.6 inches long and made with American-made 154 CM stainless steel for great edge retention. The simple blade profile gives the knife it's multi-purpose abilities, making it a great all-purpose knife for heavy use. It's also easy to sharpen, ensuring its usefulness through the years. The dynamic black coating adds to its simple yet elegant aesthetic while removing any glare from the blade. 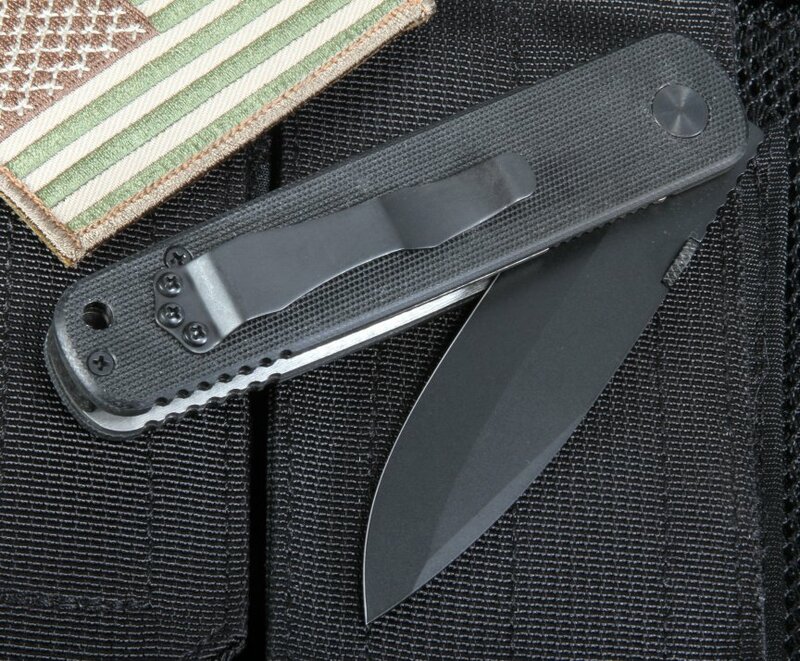 The blade is easily deployed with the added thumb button on the blade's spine. 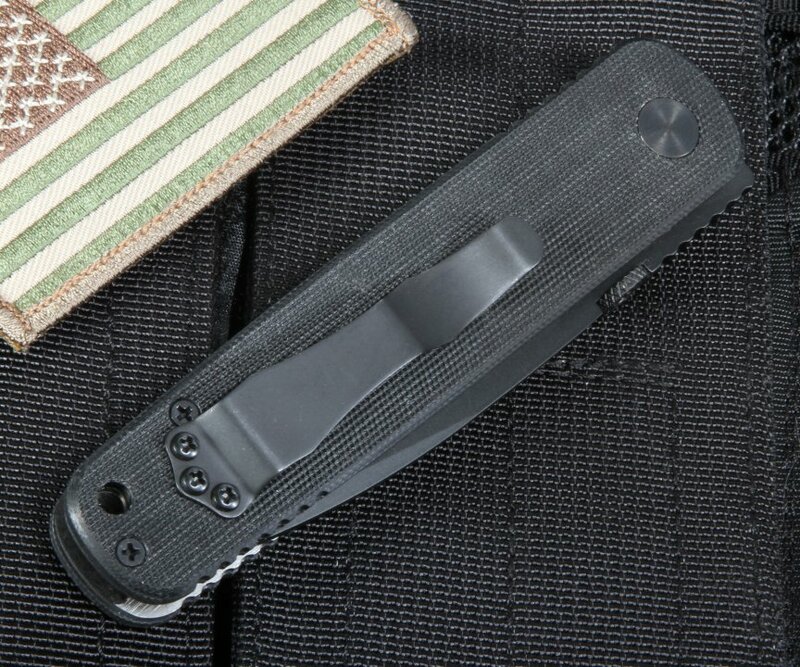 The handle is made with black G-10, a strong yet lightweight material. The handle's texture with the filed thumb rest also allows a user to grip the knife through all types of conditions, dry or wet. 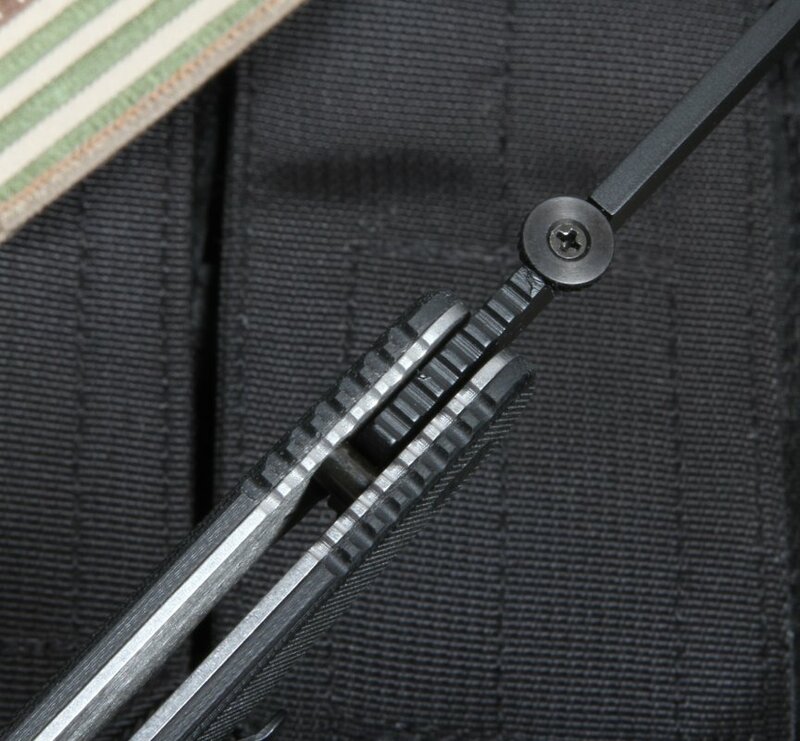 The titanium liner lock also makes the knife durable and adds to the blade's security. 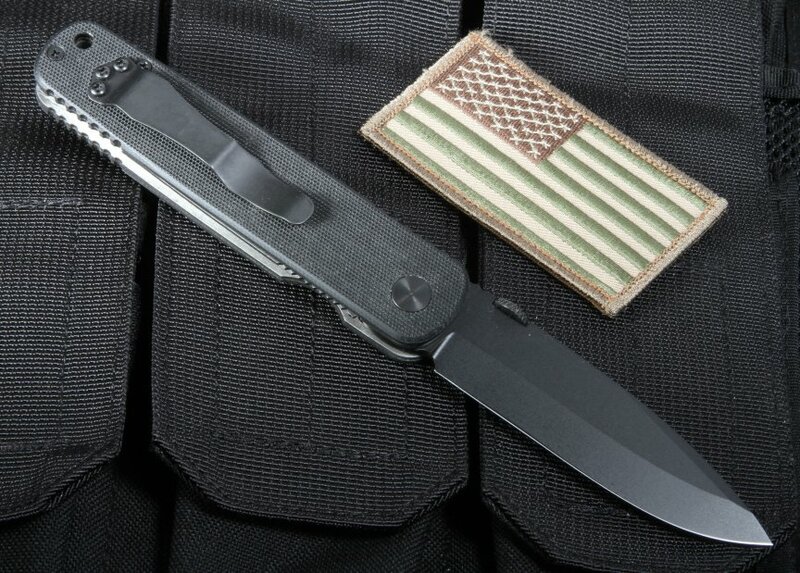 With a lanyard hole for carrying, the knife can easily be attached to a belt. Overall, its compact size and straightforward look adds to it simplicity and functionality. By ordering through KnifeArt, an authorized dealer of Emerson knives, your Emerson A100 BT knife is guaranteed to be a high-quality, authentic knife. We back all our knives and orders with our customer satisfaction policy, which ensures you a great knife with quick service and delivery, or your money back.